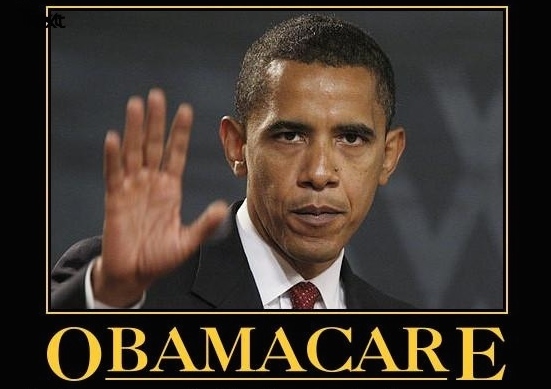 Obama Care — Truth or Fiction? If you perform a web search for ”how is Obama Care doing,” you’ll find stunning reports explaining how well the healthcare industry is holding up under the Affordable Care Act, or ACA. The problem is, the reports just aren’t true. One of the reasons you can’t believe everything you read on the Internet is because most articles are biased, including mine. But my bias comes from the view of a healthcare provider who sees the impact Obama Care has on real people, working real jobs, and doing everything they can to provide for their families. Unfortunately they’re incapable of affording the medical care their family seeks when it’s essential. I realize to some this may appear one-sided, sounding like an article from a bitter physician who has lost his giant income because Mr. Barack Obama pressed his thumb down upon the medical industry. Unfortunately I have no way of convincing you that this is not true, other than to say that I don’t need more business than I already have. In fact I can say that the last thing on my mind is drumming up more patients for my medical facilities to manage. Articles on the Internet include those from the Kaiser foundation, Politico, USA Today, Flackcheck, the official Obama care.com website, Townhall.com, and 8,990,000 other websites agreeing with, and at the same time conflicting with, each other. I have said a number of times that my blog is not a political blog. Unfortunately due to the fact that I am a physician, and the government of United States has taken over the medical rights of the people of America, it occasionally becomes a political blog. Currently I see as many patients as I possibly can in a single day, keeping in mind that some patients require individual attention, and occasionally need to talk. That being said, we live in a microwave society — some expect to be seen immediately and for their needs to be considered over everyone else’s. Although this may sound bizarre to many of you, I see it every day. Entitlement to rapid personal medical care is a product of the Obama administration medical Czars. It seems that I blame a lot of the problems with the current medical system upon our president. The reason this seems to be true is because it is true. The last thing I want to convey is that we had a problem-free medical care delivery system prior to Mr. Obama taking office, but Obama Care is not the answer — it’s the new problem, and it’s much bigger than the old one. Here’s the fact. Many of the articles you read are from the Obama administration or directly influenced by the Obama administration. Often, patients requiring medical care cannot receive it because they can’t afford the insurance. Premiums may appear to be very reasonable, but deductibles and co-pays are an outrage, preventing such studies as CT scans and MRI’s without the approval of a non-clinical gatekeeper. Are there fewer physicians than ever and declining every day? Yes. Are there more and more patients covered by paper thin, watered-down Obama care insurance policies every day? Absolutely. This is your life. This is your future. I’m not looking for more patients — I’m trying to take care of the ones I have, and it’s a struggle.